and MS-Excel” on 12 th &amp; 13 th June 2018. Prof.(Dr.) M.L. Goyal, Director General, MAIT addressed the gathering with his highly valuable views which he earned from corporate world during his stay in more than three decades and explained the necessity of such Hands-on workshop. Second Computer Lab., Ms Shreya Kapoor, Assistant Professor, IT Dept, and in Third Computer Lab., Ms Vandana Choudhary, Assistant Professor, IT Dept were conducting their respective sessions for Non-Teaching Staff members of MAIT. Around 60 staff members from different Departments of MAIT were benefitted with the conduction of this hands-on workshop. This event was coordinated by Dr. M.L. Sharma, HOD, IT Department, Ms.Nidhi Sengar, Assistant Professor and Ms. Vasudha Bahl, Assistant Professor, I.T. 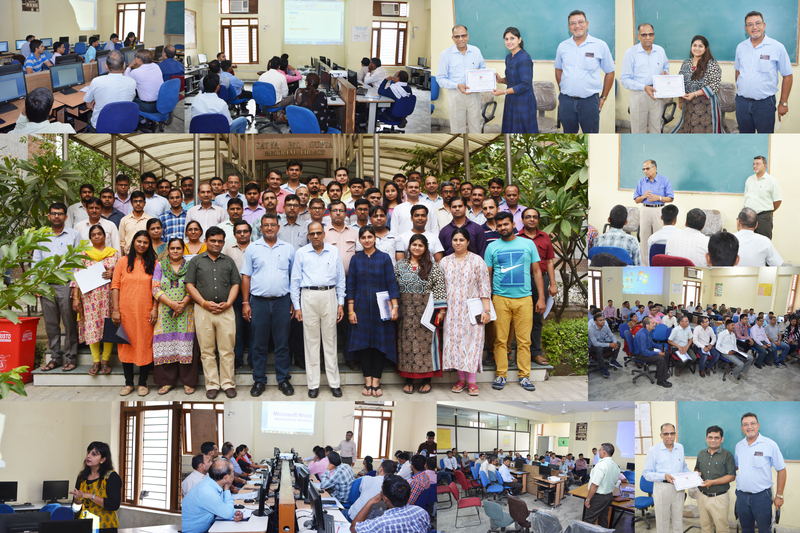 Around 60 non-teaching staff members from different Departments of MAIT participated in this two day hands-on workshop with great enthusiasm and were also awarded with Participation Certificates by Prof.(Dr.) M.L. Goyal, Director General, MAIT. All the participants and faculty members are really thankful to Director General and Management for conduction of this workshop.